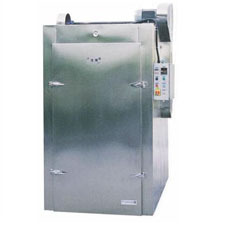 Oven BHX-I - Hangzhou Expro Machinery Engineering Co.,Ltd. BHX-I oven features electric heating (or steam heating ) and temperature, time control depending on different products. It is ideal for Chinese meat products such as sausage, charqui etc.